There’s a story picking up a lot of steam nationwide and it comes from Dodge City, KS. 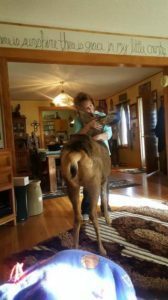 A local family raised a wild deer, named Faline, for nearly two years. Over time, it essentially became a pet. But, it was never kept in the traditional sense by leash and collar. It was always free to roam wherever it pleased. Not long ago, the pet deer was reported to authorities. Game wardens were dispatched to the scene where they decided the only reasonable action was to kill the animal. They cited safety concerns and possible spread of disease for their decision. As a hunter, and someone who supports law enforcement tremendously, I have very strong feelings about this situation. I will explain my opinion below. Before you read further, I recommend you read the following article and watch the video to formulate your own thoughts before reading mine. I will say this first – I strongly support law enforcement, especially our conservation agents. I have actually been on a ride along with a conservation agent who is a family friend. They have as tough of a job as it gets. And we all know how much scrutiny law enforcement has been under the last couple years. I don’t envy their job one bit. However, they chose to serve the public, so they must answer to the public when things like this happen. I also want to acknowledge the family in this controversy made a big mistake by domesticating the deer. 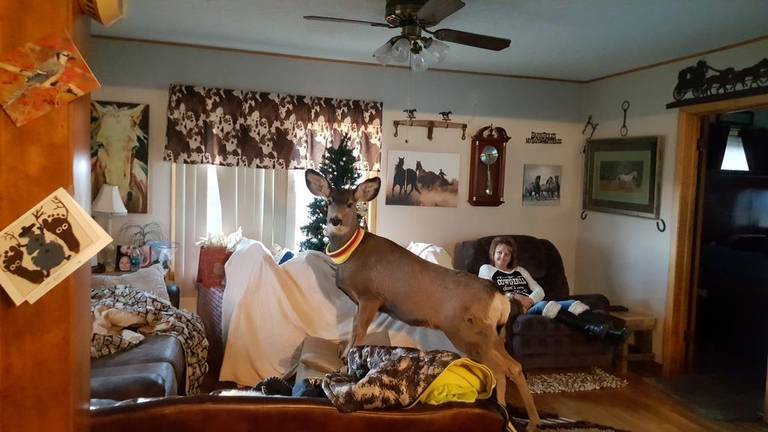 While I don’t believe this animal was kept as a pet in the traditional sense as I stated above, the family did enough to alter the behavior of this deer from being a wild animal. Tampering the way they did is illegal, plain and simple. And wildlife is always best left wild. With all that said, I am extremely disappointed in the actions of the law enforcement officials involved in this situation. In my opinion, their solution was completely inappropriate for a variety of reasons. Not everything is black and white, but that’s how law enforcement treated this. 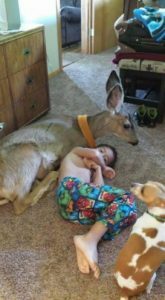 This pet deer lived for two years without incident. Then one day, out of the blue, it was reported to authorities. Officials then decided the only appropriate and humane course of action for the deer was to kill it. How’s that for an oxymoron? Let me repeat that again. It was decided the only appropriate and humane course of action for the deer was to kill it. This deer lived for two years without incident. Unless of course you include all the happy pictures of the deer interacting with the family. Yet, all it took was one business day (in reality only a matter of hours) to carry out its execution. This is a classic example of how legal vs. illegal isn’t always the same as right vs. wrong. After two years, the risk of this deer causing any harm was virtually 0%. We aren’t talking about a tamed mountain lion or bear. We are talking about a domesticated female deer. Authorities cited two major reasons to kill the deer, reasons I believe were simply convenient to expedite their decision. First, they cited the fact that 2 people have been killed in deer attacks in the history of Kansas (I don’t mean to make light of that, but really? Sounds like an epidemic!). They also cited the risk of CWD, which is a bad disease spreading throughout deer in parts of the midwest. It can be transferred to other animals as well. For those who are unfamiliar, that actually is a serious concern. If you read this far, you probably also watched the video above. Does it seem like that doe exhibited any of those signs? There was absolutely zero reason to suspect this deer was affected by CWD. I don’t know about you, but man am I glad this problem has been resolved. It was really killing me how this family I never knew about has gone on for two years gallivanting around with their unique and caring relationship with a deer. How could they commit such a heinous crime? According to multiple reports, the home owner was approached at her place of work and given a fine for illegal possession of wildlife. She immediately called three zoos to place the deer. One was interested, but needed a call back the next day. The game wardens apparently called a vet to come out to the deer as well, but he or she was not available. It was soon after that when the game warden claimed on video he had “exigent circumstances”. Exigent circumstances occur when a law enforcement officer has a probable cause and no sufficient time to secure a warrant. He reasoned that because he didn’t know if the deer would still be there if he left to get a warrant, he had the right to enter the property and kill the “problem” deer. If we know anything about this deer, we know that it wasn’t going anywhere. The game warden had plenty of time to get a warrant. But for some reason, taking care of this impending threat to the public could not be delayed any longer. It had to end right then and there! What harm would have been done to allow the family time to find a proper home for the deer now that they had officially been fined and made aware of the problem? First of all, it’s very apparent the game wardens had no justification to expedite the execution of this deer. From what I’ve read, it sounds like you must have clearance as a deer breeder or wildlife rehabilitator to keep an animal such as a deer. That probably wasn’t realistic for the family to obtain even if the game wardens helped them. So ideally (and I have a feeling this would have been pretty easy), the game wardens would have taken a day or two to help the family find the appropriate home for the deer. If that wasn’t possible, and euthanasia was the only option, the game wardens should have captured and removed the deer from the premises and transported it somewhere else before killing it. The wildlife department head claimed this endeavor would be too dangerous for the game wardens, but don’t believe that for a minute. What he really means is that it would have been too much work. By instead killing the deer in front of the family while taking FIVE shots to do it, the game wardens clearly exhibited no regard for their fellow man, or for the animal itself. What happened to tact, restraint, and human decency? Don’t tamper with wildlife. They are not meant to be tamed. It is illegal to possess them without extremely specific permits. While certainly not life threatening or even worthy of public attention, the mistake this family made is clear. They should have sought more help with this animal much sooner. 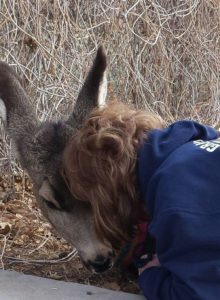 As mad as I am at the outcome, it is true that had they simply left it alone or sought the right help in the beginning, this deer would likely still be alive. Support your law enforcement officials. They need all the help they can get, especially these days. However, support and “blind” support are two different things. Don’t be afraid to scrutinize their actions and the laws they enforce. After all, they serve the public and ultimately answer to you. In my opinion, this is one of those times that calls for intense public review of law enforcement procedures. Reach out to the Kansas Department of Wildlife, Parks, & Tourism to let them know how you feel about this situation. Please feel free to let us know how you feel in the comments as well. Hearing other’s opinions is a great way to learn and expand our perspectives and ultimately improve the society we all share. Game Wardens Shoot Pet Deer, Mahoney Outdoors, Opinion, Pet Deer, Pet Deer Shot by Game Wardens, Tyler Mahoney. Bookmark.